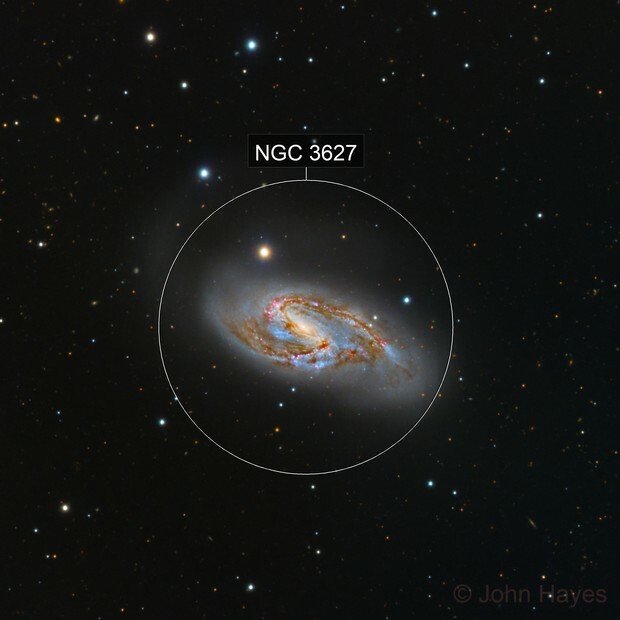 M66 (NGC 3627) is a SABb galaxy with a weak bar located in the Leo Triplet at a distance of about 31 mly. Five super nova have been observed in M66 (through 2018.) At an apparent magnitude of 8.9 it's a popular target for both visual observers and for photographers. 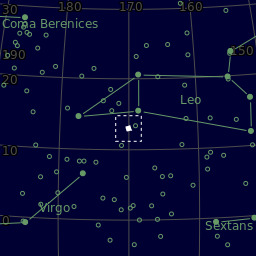 With an apparent angular size of 9.1' x 4.2' M66 is about 95,000 ly across. It's a particularly interesting target because it contains a complex array of striking dark dust lanes, star clusters, and hydrogen emission regions. I used a slightly different approach to process this data. The most significant was to use the MURE (mixed noise unbiased risk estimator) de-noise tool in PI to clean up the stacked data in each channel. The results were impressive and only a very minor application of masked TVGDenoise was applied to the final result. PhotometricColorCorrection worked well on this data set. Ultimately, about 95% of the processing on this image was done in PI. I'm not willing to abandon PhotoShop but most of the work that I do in PS has been reduced to fairly minor tweaks. C&C is aways appreciated so feel free to let me know what you think. PS I thought that the Ha data was pretty interesting so I posted it as version D.